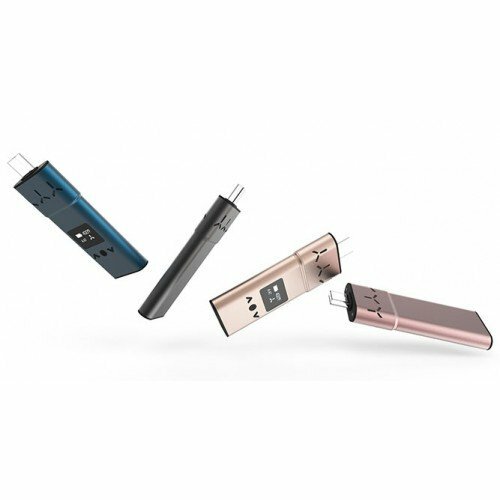 The AirVape Xs from Apollo Vaporizers is the definition of a thin, compact, and lightweight portable vape that still packs powerful vapor production. This portable vape was designed to comfortably fit in your pocket or hide in your hand while boasting a rapid heat up time of 20 seconds or less–perfect for on-the-fly vaping. With a digital temperature display, the unit can be set to the precise degree ranging from 200° to 428° F, enabling you to zero in on the best temperatures for your favorite strains or vapor styles. The AirVape Xs is a sleek and discreet vaporizer with high-grade ceramic oven, hybrid conduction/convection system, and a glass mouthpiece, proving that good things come in small packages. 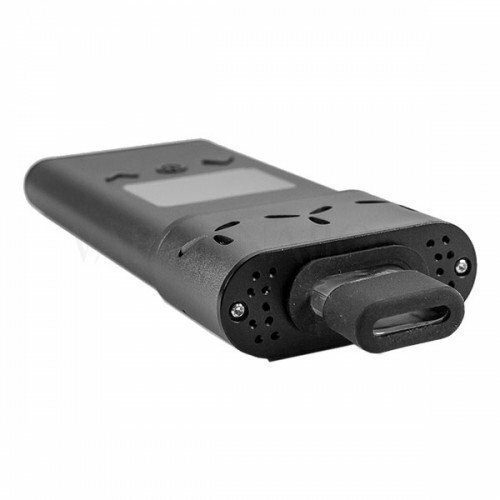 AirVape Xs features precise temp control, rare for a portable vaporizer. This enables you to pinpoint the ideal temperature for the most popular strains and vapor profiles. Lower temps create smaller, more flavorful hits. Higher temps create bigger, more robust draws. 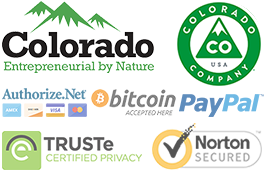 You can also find the best temperature for unlocking the essential flavors, aromas, and effects of a specific type of dry herb strain, ensuring the highest quality vapor production. AirVape Xs may be compact, but it boasts some of the best vapor quality around. 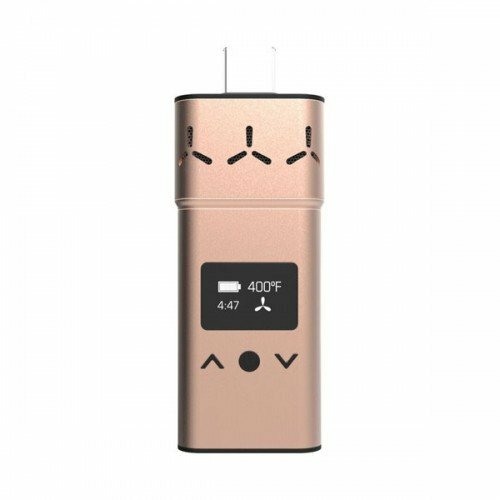 Toggling temp with the AirVape Xs is as simple as pressing the up and down arrow buttons. 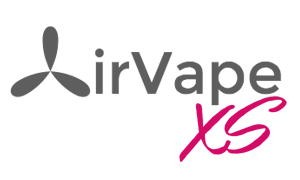 The AirVape vaporizer will heat up in just 20 seconds, one of the fastest heat up times in the vaping industry. Unlike most portable vapes, AirVape Xs features a hybrid conduction and convection system that provides the benefits of each heating style. Users get the fast heating and large clouds of conduction with the clean-tasting, flavorful vaporization of convection heating. The AirVape Xs has a medical grade ceramic oven which heats its contents beneath the point of conduction while hot air simultaneously seeps up through airholes on the floor of the herb chamber. The dual heating style heats the bowl from all angles, thoroughly vaporizing dry herb for an efficient, enjoyable vaping experience. AirVape Xs vapor is clean-tasting, smooth, and packs intense flavor and aroma. The AirVape Xs portable vape features an LCD display screen presenting the battery level, temperature and time remaining before the auto shut off feature kicks in and powers down the unit. 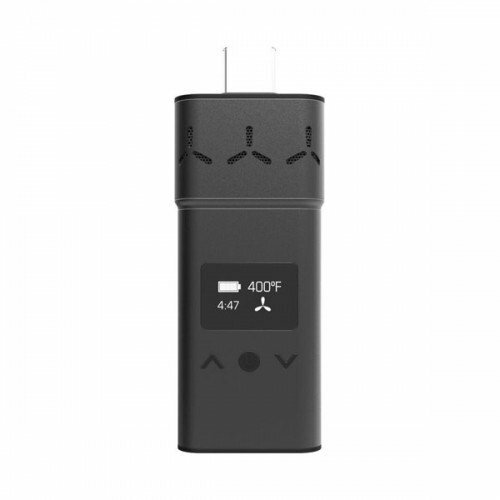 This gives you complete control over your vaping sessions, letting you know when it’s time to charge, vape, or press a button to keep the auto-shut off from powering down the AirVape Xs vaporizer. By holding the power button and down arrow button at once, you can switch from Faranheit to Celsius or vice versa, which will be reflected in the LCD display data. AirVape Xs is one of the few portable vapes to boast an LCD display, leaving you “in the know” during every vape session. 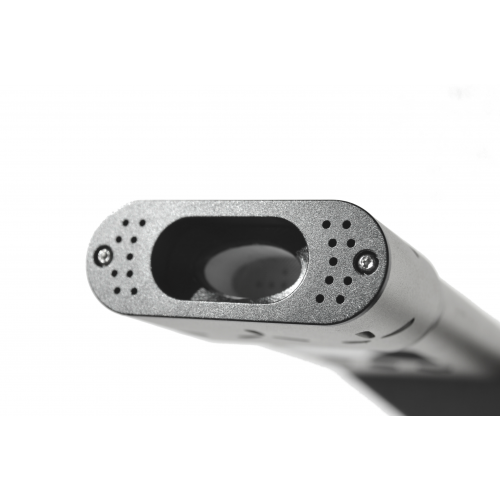 The super thin AirVape Xs hides easily in the grip of its owner. Measuring in at less than half an inch thick, the AirVape Xs is arguably the thinnest vape available. Perfect for on-the-go vaping, the AirVape Xs vaporizer won’t burden your pocket, and can be easily concealed in your palm. You won’t draw attention to your vape sessions, and you’ll enjoy a hassle-free vaping experience during your busy day. Despite its small stature, AirVape Xs features a solid aluminum build that’s durable enough to laugh in the face of life’s wear-and-tear and still be pleasing to the touch. This super-thin portable vape also features a powerful half-convection, half-conduction heating system, and an ample sized herb chamber with a .3 gram filling capacity. AirVape Xs vaporizer is one of the compact portable dry herb vaporizers out there, enabling steathly and satisfying vaping on your feet. 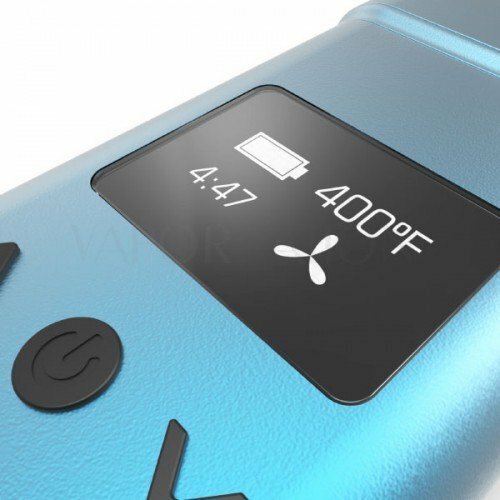 AirVape Xs features a powerful 1300mAh battery with a few unique capabilities. Unlike most vapes, the AirVape Xs vaporizer charges in just over an hour, perfect for those who don’t like to wait to vape. On top of that, the AirVape Xs incorporates pass-through charging so you can vape while you’re charging. Apollo AirVape also makes a remote charging bank for the AirVape Xs (sold seperately), so you can charge wirelessly from anywhere. The AirVape Xs boasts moderate to long vape sessions depending on the temperature you choose, and is capable of reaching temps between 200 and 428F. AirVape Xs packs the power to keep you vaping through your day, with no long periods of charging. Building on an already discreet design, the AirVape Xs vaporizer features a vibration alert system. No more having to stare at a display screen while the temperature climbs. Simply choose the desired setting and wait for it to buzz in your hand or pocket. AirVape Xs enables you to keep the phone hidden stealthily in your pocket until you have a discreet moment to take a hit. 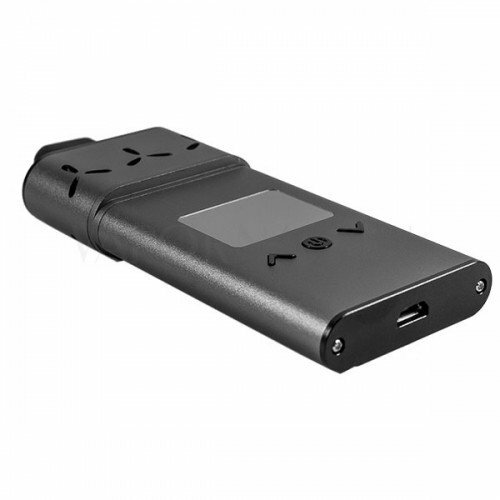 The AirVape Xs vape will also vibrate when the unit shuts down, letting you know you’ll need to power back on. This is a convenient little notification that the unit is cooling down and your herb is not being wasted.